The FA Women’s Championship is heating up the cold winter weather this season with no less than four sides duking it out for the title. 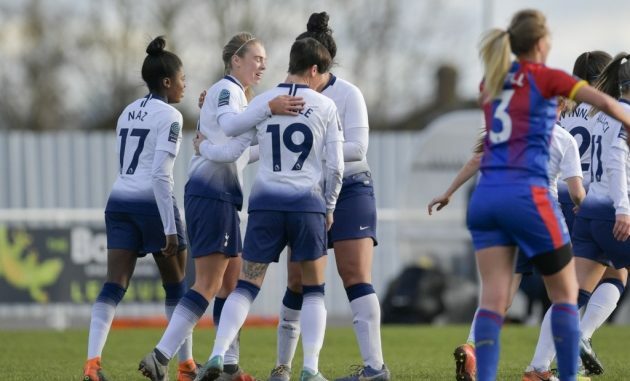 The campaign looks set to be another close affair, but it is Tottenham Hotspur Ladies who currently occupy top spot from Manchester United in second, Charlton Athletic in third and Durham in fourth. Just four points separates the top four with two points the difference between the Tottenham in first and United in second. The stakes are high indeed and as the weekend rolls in and the Lilywhites prepare to face the Millwall Lionesses, confidence at the Cheshunt Stadium is high. Earlier in the season, Tottenham recorded their biggest win of the season over the Lionesses in a thumping 8-0 win on home soil. That win came during a run of eight victories for the Lilywhites in all competitions which helped propel Karen Hills side to the summit of the FA Women’s Championship which is a position they have managed to retain up until this weekend at least. Is a Repeat on the Cards? 8-0 is a rare scoreline and it was clearly and off-day for a side that finished last campaign in third place. However, this season things have not gone so well for Chris Phillips side as zero wins in 12 outings can testify. Just two points has been collected from 12 games this season and just 8 goals have been scored. It is a far cry from last seasons exploits and one that leaves Tottenham LFC as big favourites to collect the three-points come Sunday. As well they should, with 10 wins from 12 games earning the club 30-points only Manchester United remain a real threat for the title especially considering their far superior goal difference of +48 to Tottenham’s +14. Few can predict anything other than a Spurs win but the pressure remains firmly on this season if the Lilywhites are to keep United at bay.